I love your pictures! I want to order another caricature from you. This time, I want a black/white picture with a theme in the background. Here's the picture of my friend. She's working in a hospital. 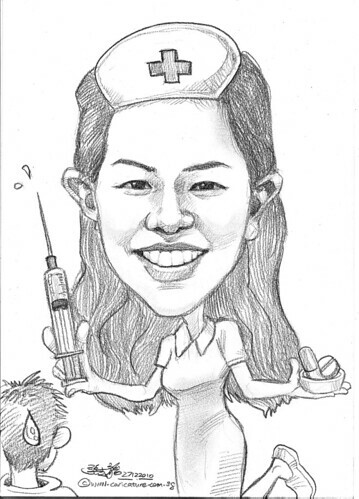 Hence, I want the background theme to be something related to nurse/doctor or pharmacy...."